AMD's Technical Marketing Head, Robert Hallock, has taken to the official AMD community gaming blog to share some tips about how to squeeze the best gaming performance from a shiny new AMD Ryzen 7 CPU. 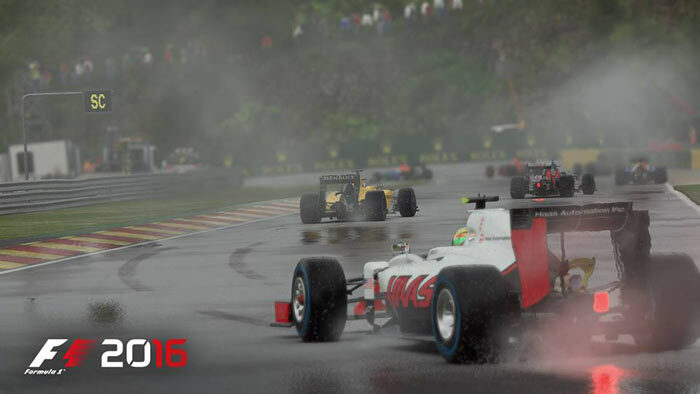 The result of Mr Hallock's tweaking and testing was a very impressive 35 per cent average FPS gain, compared to an untweaked system, running F1 2016 at 1080p. Hallock has helpfully put together a step by step guide to how he achieved these headline performance gains. Some of the steps are obvious but other contributing changes come from pre-planning your Ryzen 7 system. In a nutshell the following aspects of the system are checked / optimised; get the newest available motherboard BIOS, clean software installs help if you are upgrading, buy memory that works at a top speed supported by your motherboard, adjust the Windows 10 power plan, check for CPU cycle soaking background processes, and last but not least - overclock your Ryzen. Looking at Hallock's F1 2016 performance chart, above, some of the most significant gains come from software and memory tweaks. For the DDR4 memory it's important to setup and test in the BIOS to make sure you are making the most of this valuable commodity. You can see that Hallock started with a Windows system that had been previously used with an old install of the racing game. He refreshed the OS and reinstalled the game which regenerated a CPU topology map (hardware_settings_config.xml) for F1 2016. Then the AMD tech guru turned on the High Precision Event Timer (HPET) before editing the F1 2016 config file - as it was viewing the 1800X as a 16-core processor, rather than an 8-core processor with 16 threads. With the above shenanigans compete, plus an adjustment to the Windows power plan, it only took a bit of overclocking to cement in place the headlining 35 per cent FPS performance gain. If you are an AMD Ryzen 7 early adopter and make any significant performance gains, like Robert did via software, memory, and OC tweaks, we'd like to know. It's quite simple, these Ryzen's are superb value for productivity related tasks and are ‘good enough’ for gaming. Until Ryzen CPU's can get to at least 4.5Ghz on air I don't see any change to that choice. lol.. maybe I'm reading this a bit wrong but….to get the best performance out of the new ryzen cpu I need to overclock it and use it as an 8 thread not a 16 thread cpu…. Yeah maybe it's me but this marketing guy isn't exactly helping AMD's cause here when there's all these reports about being faster with SMT disabled…. I know it's a code level tweak to limit threads being used but isn't this just confirming what people are seeing in benchmarks and showing that there's something a little ‘off’ with the drivers/cpu when it comes to smt. Now don't get me wrong I still think ryzen is great value, especially for 3D rendering etc like I do but this sort of post really doesn't help them much when it comes to gaming lol. 1) Of course you get better performance out of an overclocked system. So of course overclocking gives you the best performance. However, in this instance it only made up ~ 2% of the difference. It's not a significant contributor to the performance boost. 2) The game incorrectly reads Ryzen as a 16 Core/16 Thread CPU (which is something I mooted was happening here) rather than an 8 core/16 thread CPU. To be fair the good Robert Hallock doesn't explicitly state whether he changed the file to force the game to treat Ryzen as 8C/8T or 8C/16T, but his implication is that he only changed the count of physical cores. The big wins were from doing a fresh OS & game install, and using high-clocked RAM - both things that enthusiasts can very easily control. I'm curious about the fresh OS install. Is he saying he was able to reuse an OS install from a non-Ryzen chip before somehow?